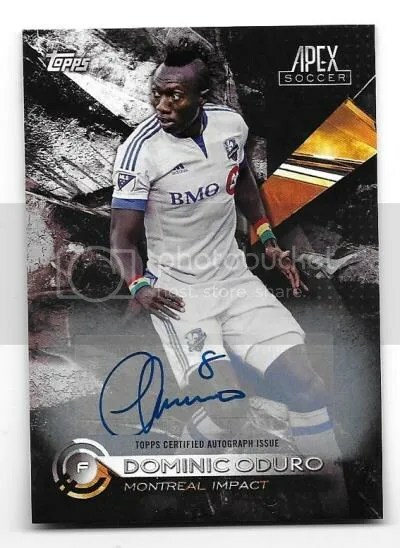 Congrats to FLAME on being the lucky winner of the Tony Tchani 2018 Topps MLS Auto. 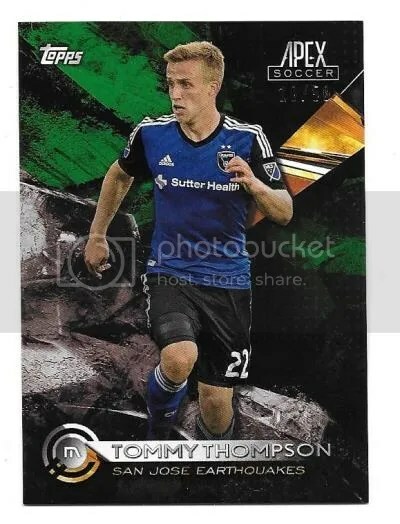 Once FLAME sends me their mailing address, I will ship this card ASAP. Thanks! 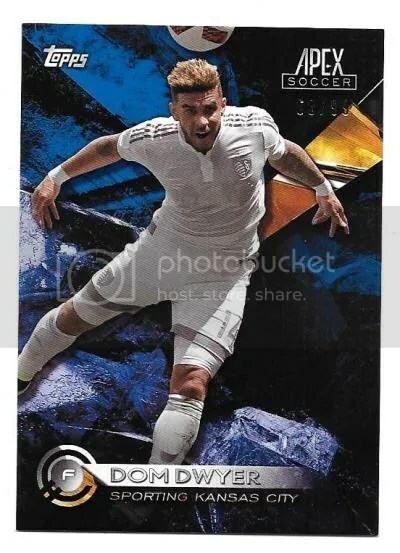 One of the most well received soccer products that Topps released last year was APEX. It’s success can be attributed to three different factors – design, price, and configuration. 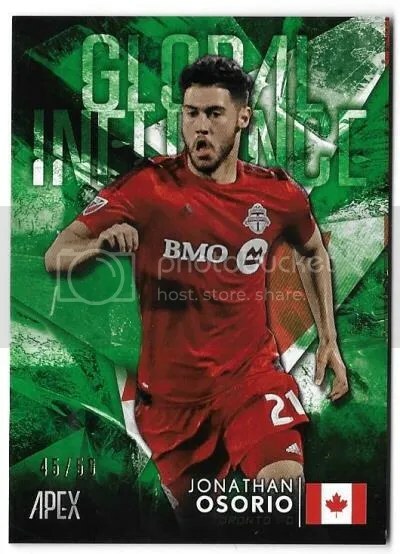 For 2016, Topps has built upon those factors and soccer fans seem to really enjoy it. Plus, how can you go wrong with a box that has what looks like the kryptonite spear from Batman v. Superman on the front? Just from a pure price point, 2016 APEX is very attractive. A complete hobby box costs around $40. That comes to $20 per mini box. You don’t need to spend your life savings in order to bust a box. 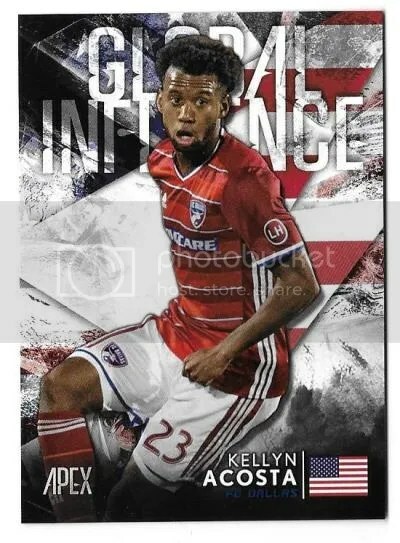 Like last year, APEX looks like a cross between Valor and Fire. Perhaps a little Inception can be seen in here as well. One box should provide you with (2) autographs and (1) relic. 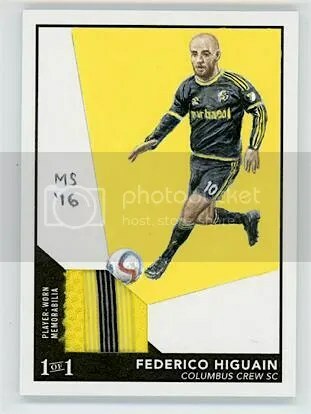 A big draw for those MLS collectors are the 2016 All-Star Autographs. 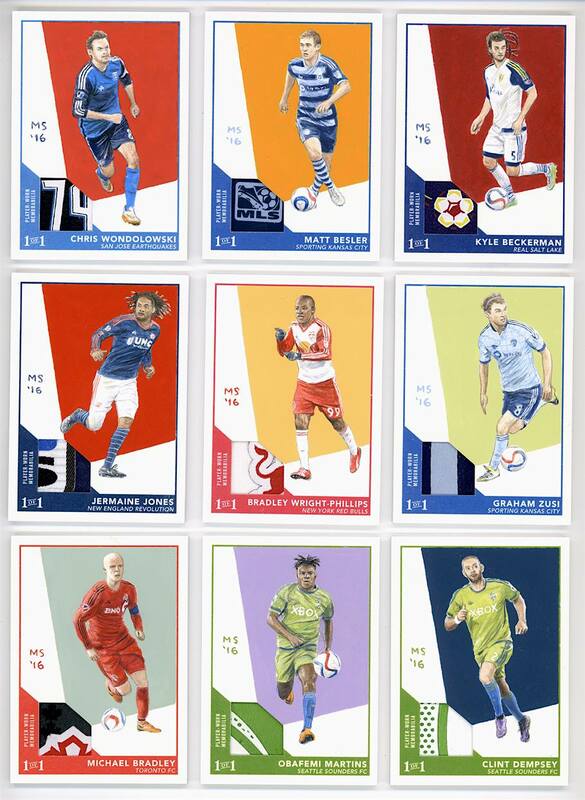 These are all signed on-card, which is something new when it comes to Topps MLS cards. They are by far some of the best looking cards within this product. 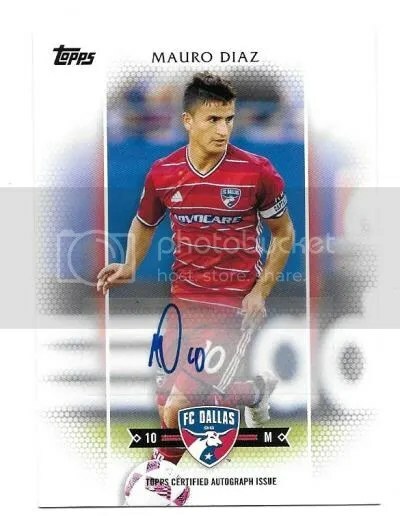 Outside of those cards, everything else is signed on a sticker. 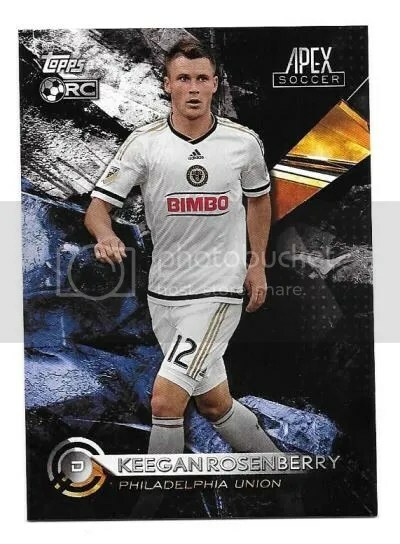 From a visual perspective my least favorite looking cards are the dual autographs. The white boxes where the sticker autographs rest stand out quite a bit, especially if the background is dark. Besides the autographs and relics, you’ve got a basic 100-card set to put together. Actually there are (110) cards, but the last ten are short prints. 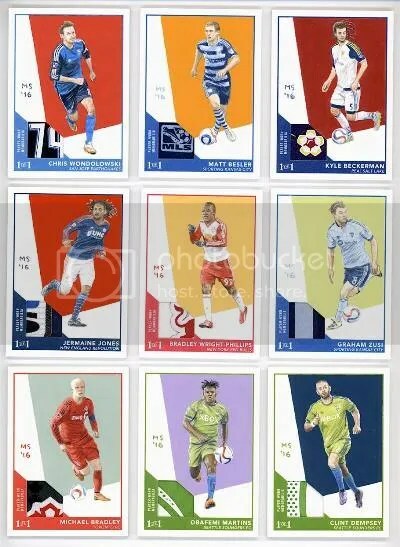 All printed with matte backgrounds and glossy player photos. There are a couple of inserts to collect too. 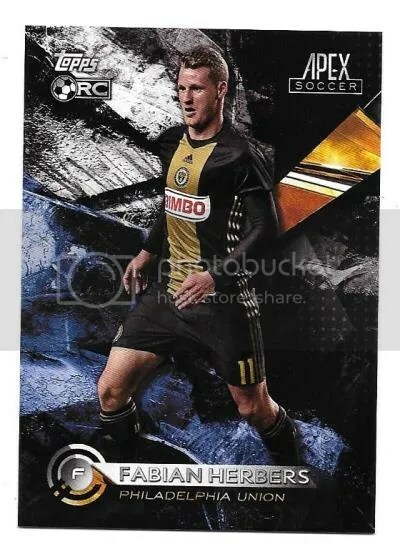 I enjoy the way the Golazo inserts came out. They’re packed with color. Even if you’re not a huge soccer fan, you might want to give APEX a good hard look. For $40 you can’t go wrong. I think the biggest complaint people have is that there aren’t as many top tier players to pull. That’s simply not true. 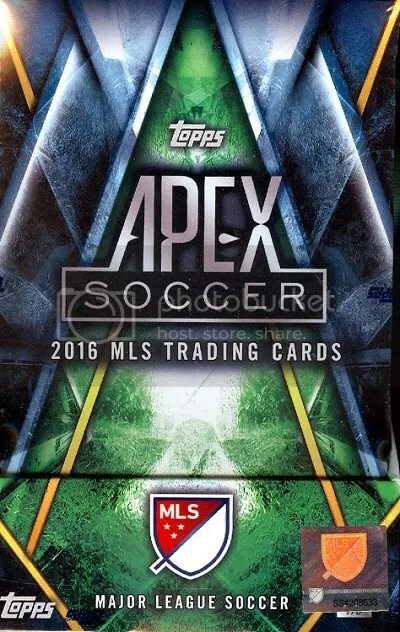 Given that APEX is priced at $40 per box, its going to be difficult to pull a big “hit”. They’re in there. 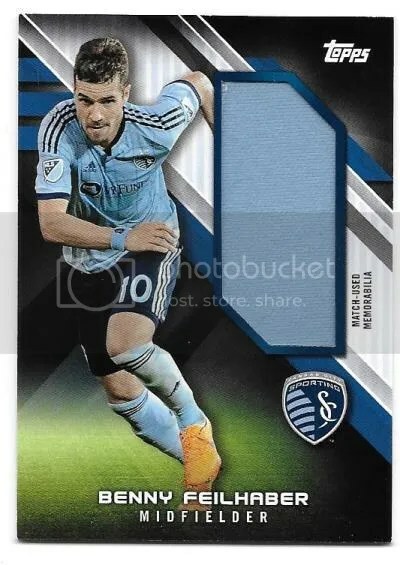 This contest is for a Benny Feilhaber 2016 Topps MLS Jumbo Jersey #’ed/55. Good luck!!! This contest will end Friday, May 27, 2016 @ 8:00 p.m. EST.